The L15 is a low cost, heavy duty clutch brake label applicator. With variable speed controls and photoelectric label sensing, the unit is practical and easy to use. The L15 is available in Wipe-on. 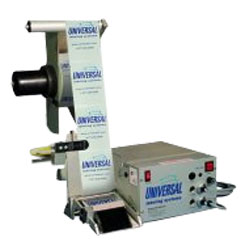 Web width: up to 6.5"
Label roll capacity: up to 12"